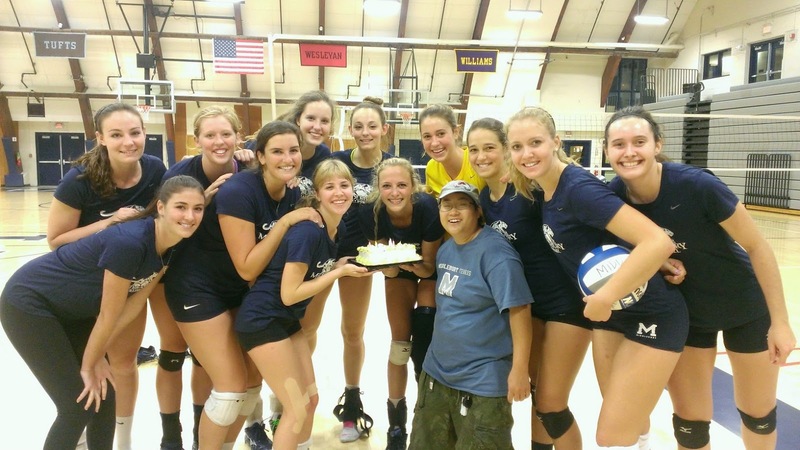 MIDD Volleyball 2017-18: Birthday Time!! We had two birthdays this week, at both ends of the spectrum. Piper turned 22 on Wednesday, while Jen turns 18 on Friday. Fun times. Happy birthday, guys!! We celebrated with a cake after practice, with Kate there to help us celebrate.